UK Foreign Secretary Boris Johnson and his Iranian counterpart have spoken "frankly" in Tehran about jailed Briton Nazanin Zaghari-Ratcliffe. He met Mohammed Javad Zarif to urge her freeing on humanitarian grounds, along with other dual nationals held in Iran. Ms Zaghari-Ratcliffe has been held in Tehran since April 2016, after being accused of spying, a charge she denies. Her husband, Richard Ratcliffe, spoke of his "hopes and fears", telling the BBC "it could go any which way". In what was described as "a useful meeting", Mr Johnson and the Iranian foreign minister talked for two hours in Tehran on a range of subjects including the nuclear deal, as well "obstacles in their relationship". London Mayor Sadiq Khan has tweeted his support for Mrs Zaghari-Ratcliffe, calling on Mr Johnson to do "everything he can to secure her release". Mrs Zaghari-Ratcliffe was arrested on a visit to see her parents with her baby daughter Gabriella. The case was further complicated when Mr Johnson erroneously told a parliamentary committee in November that Mrs Zaghari-Ratcliffe had been in Iran to train journalists. The foreign secretary later apologised in the Commons, retracting "any suggestion she was there in a professional capacity". Reports suggest Mrs Zaghari-Ratcliffe could appear in court on Sunday to face new charges and possibly have her sentence doubled as a result of Mr Johnson's comments. 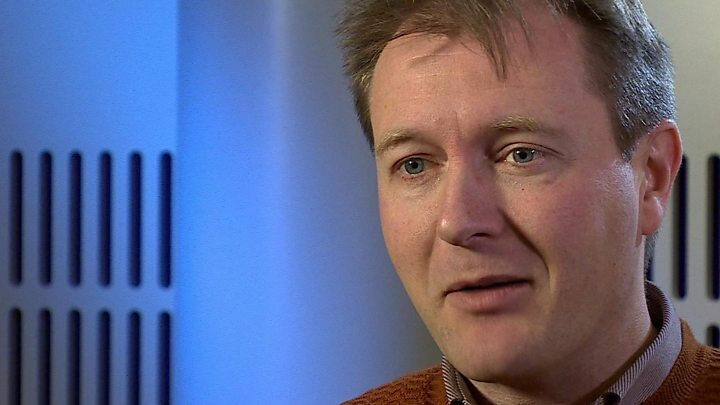 "His fate and her fate have been aligned a little bit, and he is now in Iran battling for her," her husband, Richard Ratcliffe, told the BBC. "It's a case of 'watch this space'". He said he believed Mr Johnson's "charm and presence" in Iran would "make a difference", but the situation remained very unclear. "It's all up in the air," said Mr Ratcliffe. "We're holding on to the good bits - it could go any which way." He said he wanted his wife to be with her family in the UK for Christmas but he was not expecting her to be on the foreign secretary's plane when Mr Johnson returns to the UK on Monday. He added: "Fingers crossed it can be solved by Christmas, which means in the week or so afterwards there might be a happy outcome." As Boris Johnson and his Iranian counterpart Mohammad Javad Zarif shook hands on their way into talks it could have seemed routine. But there was nothing routine about this encounter. The foreign secretary looked uncharacteristically tense, and with good reason. His mission - to improve relations - point to Britain's continuing support for the Iran nuclear deal, while at the same time being critical of Iran's actions in Yemen and Syria. And, hardest of all, argue for prisoner releases, including Nazanin Zaghari-Ratcliffe, a case many accuse him of damaging by loose talk last month. Boris Johnson will say nothing at all publicly while in Iran, such is the sensitivity of his visit. But in one good sign, Iran's foreign minister confirmed Mr Johnson should be able to meet President Rouhani on Sunday. We should not expect immediate consequences, but Iran is in little doubt of the importance the British side attaches to getting Ms Zahari-Ratcliffe home. Relations between the UK and Iran have long been difficult. Mr Johnson's visit is only the third by a British foreign minister to Iran in the last 14 years. The Foreign Office would not confirm the names or number of other dual nationals being held, saying their families had asked for their cases to be kept out of the public domain. Speaking ahead of his visit, Mr Johnson said the talks would cover the "bilateral relationship and I will stress my grave concerns about our dual national consular cases and press for their release where there are humanitarian grounds to do so". 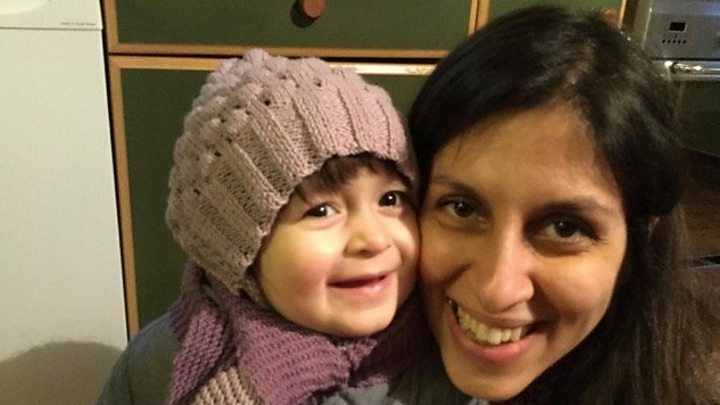 Last month, the Free Nazanin Campaign said Mrs Zaghari-Ratcliffe had suffered panic attacks, insomnia, bouts of depression and suicidal thoughts and had been given a health assessment.